The Gateway | OctoPalooza – Clever Octopus’ 2nd Birthday FUNdraiser! Home > Calendar > OctoPalooza – Clever Octopus’ 2nd Birthday FUNdraiser! 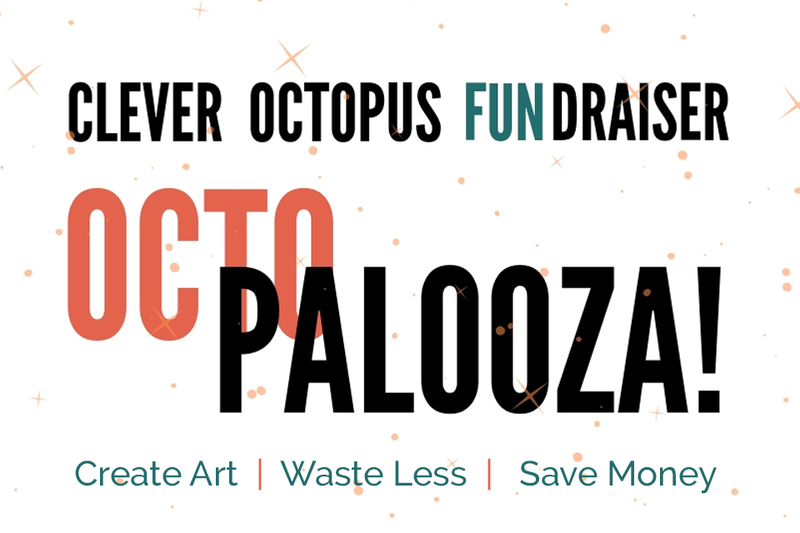 OctoPalooza – Clever Octopus’ 2nd Birthday FUNdraiser! ALL Donations and proceeds go directly to the expansion of Clever Octopus’ campus — featuring large classrooms, community gathering spaces, and more — that will allow us to divert more waste and provide additional creative reuse educational opportunities for youth, adults, and our community. Come in funky formal or make your costume with us – prizes will be awarded! We will have food, drinks, interactive art activities and silent auction, too! Tickets range from $10 – $20 and sales end on April 19th, so be sure to purchase your ticket now!